Welcome to P.J. Roscoe, this week's guest. Tell us a little about yourself. PJ: "I have written since I could hold a pencil! A cliché I know, but it’s true. I wrote short stories about animals in a zoo and whenever it was an English lesson everyone knew to leave me alone as I wrote pages. Following the death of our son, I wrote ‘Echoes’ which started out as a short story, but within weeks had grown into a full novel and it helped me with my grief. I was astounded when it won various awards. I quickly followed that up with ‘Freya’s Child’. After our daughter was born I wrote faerie stories as bedtime reading and I have just launched a collection ‘Adventures of Faerie folk’ and am working on the second collection due out later this year hopefully, but I am also working on my third novel ‘In-between Worlds’ which is also keeping me busy so who knows what the year will bring." The Writers’ Lens is about "Bringing fiction into focus." What brings your writing into focus-- the characters, the stories, the love of words? The stories I choose to write tend to have a focal point – the supernatural and historical, bringing the two together. Being adopted, I only have 44 years of history, so I like to be nosey around everyone else’s! Plus the paranormal intrigues me having been able to see, hear and feel spirit and ghosts since I was very young. I write from my soul, this is my focus. Would you share a bit about your next project? In-between Worlds is another supernatural historical fiction with a twist. Its set in a secure hospital after a young woman, Emily is found bloodied and bruised next to a decapitated corpse. Refusing to speak, the only clue is an ancient sword used in the murder, but archaeologists are saying that it’s impossible as the sword is dated to the 5th century AD, but it’s in perfect condition. King Arthur fascinates me. Not the medieval rubbish made up by a monk, but the possibility of a man in the dark ages who led an army against the invading Saxons. Also, the soundtrack to ‘King Arthur’ the one with Clive Owen, love it and there is one piece that fits a scene perfectly and so I played it over and over to get the scene absolutely perfect in my head. Every time I hear that piece, I see the scene like a film and I get chills! To gain answers, Emily is hypnotised and tells tales of Artorius, the legendary commander who King Arthur was based on. Is she telling the truth or is Emily having a psychotic episode. I wanted to explore the possible reality that patients diagnosed with various mental illnesses could be experiencing other forms of a more supernatural explanation, but as science would never deem these a possibility, I began to wonder if it could be true, how many patients are perfectly sane, but just in the wrong time and nobody is taking them seriously. What's your favourite way to interact with fans/readers? I love to meet them and chat. I hate telephones, not that fans tend to ring me!! I love meeting people, though it scares me and I sometimes get a bit embarrassed, but I like to find out from them how the book was, which bits didn’t or did work for them. I enjoy feedback, but of course I have had a couple of what I call ‘trolls’ who want nothing more than to make nasty comments – usually on the internet, to make themselves feel better. I guess its part of being in the public domain and not the nice side, but in general, there are so many kind people out there. What movie star would be perfect for (your main character) and why? When writing ‘Echoes’ my husband and I would play the game of ‘who could play this character?’ It was an easy one for me, as whenever I wrote the character ‘Eira’, Fionulla Flanagan was always in my head. So much so that when I finished it, I sent her agent a copy – I never heard back. Fionulla has exactly what I want from ‘Eira’ a kind woman but when you look at her, you wonder what she is hiding behind those eyes. 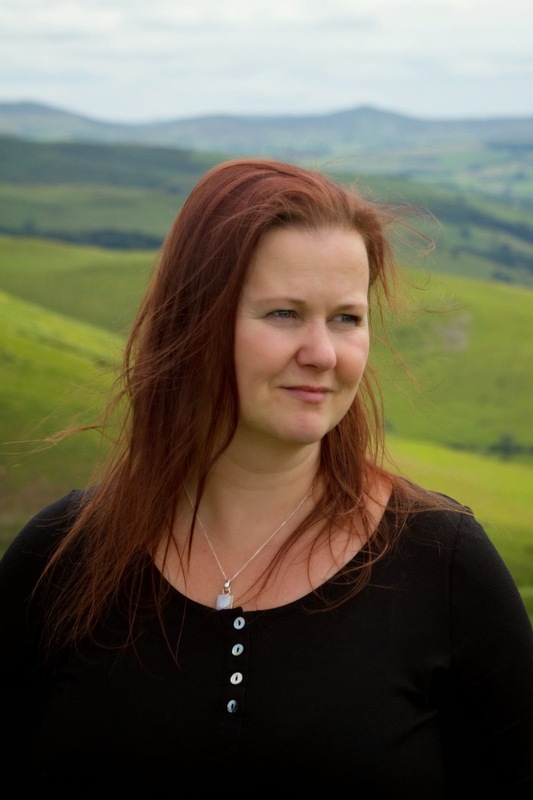 As for the main character of Bronwen? No idea. I haven’t seen any actress that fits her because she is based on me and it’s difficult to imagine anyone playing me! Daniel Craig as Adam or Richard Armitage perhaps? Derek Jacobi as Sir Richard? My head is so busy with stories and books, I would go mad if I didn’t write them down – so I plan to stay sane and continue writing! 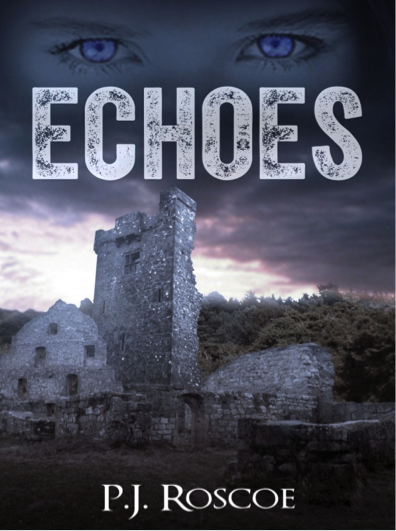 ECHOES: Bronwen Mortimer moves to a secluded village on the outskirts of Shrewsbury, England, in the hope of starting a new life following years of abuse, but the echoes of the land will never lie quietly and when she witnesses a murder, she must face her past to have any chance of living in the present. A supernatural, historical thriller moving between present day and 15th century, when Henry Tudor claimed the throne. There were many casualties of war, but some refuse to be forgotten.